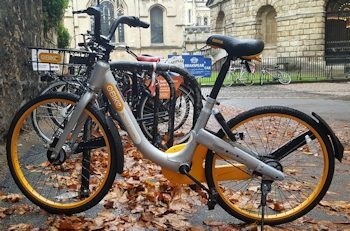 Oxford now has four operators offering dockless bike hire in the city. 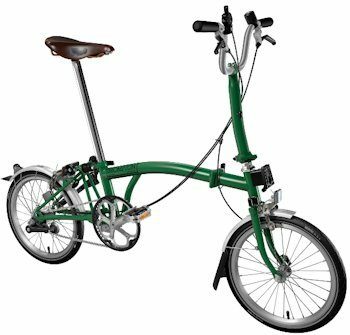 These are in addition to the two docking-type systems which have been going for some time now, Oxonbikes and Brompton Hire, and a hybrid scheme run by Bainton Bikes/Donkey Republic. The dockless concept is that you can pick up any available bike, ride it, and park it at the end of your journey. The operators just ask that you park somewhere legal, accessible, and non-obstructive. An app on your smartphone or other device shows where the available bikes are and takes care of the locking, unlocking and payment. Some operators require a deposit. Some have a credit points system where you can earn or lose points for considerate or inconsiderate use, and where the charges are higher if you have too few points. 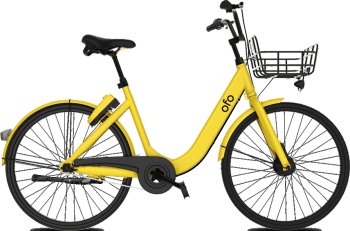 Typical trip charges for the dockless bikes are 50p/30 minutes, though Ofo bikes are currently free to use. The Donkey Republic/Bainton Bikes scheme is slightly different and aimed at longer use. They charge by the day; you collect your bike from one of several specified locations around the city (including Headington Shops and Oxford Brookes) and return it to the same place. 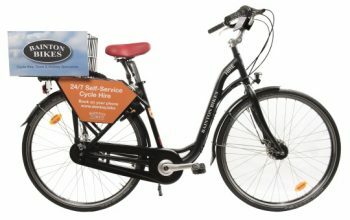 Longer rentals are also available, for example from Bainton Bikes, or try any of the bike shops in and around the city. Lastly I should include Cycle.Land, an Oxford start-up someone described as “AirBnB for bikes”. It’s a platform where people can share their bike with other people for a fee. Of course it’s also a way for someone who has a bike – or a few bikes – to make a few pounds renting it or them out. Cycle.Land provide the mobile app, insurance and support, but like AirBnB it’s up to each owner and renter to make arrangements between themselves. I was surprised to see about 120 bikes listed in Oxford, including some tandems. Typical rental prices range from £1 to a few ££ a day. Here is a summary of the various schemes in alphabetical order. BROMPTON HIRE Folding bikes kept in lockers. Hire & return to rail station only – can be to a different station. Annual fee + prepay. Frequent and Leisure tariffs. 24-hr hire period. DONKEY REPUBLIC Prepay. £12/day. Collect from designated collection point; return to same place (see map). MOBIKES Drive shaft – no chain! Dockless. Credit points system. One-off refundable deposit of £49 + prepay; 50p/30min or £1/30min if credit points are low. OBIKES Dockless. Credit points system. No deposit. Prepay; 50p, £1 or £5/30min depending on credit points. OFO Dockless. Some bikes have 3-speed gears. No deposit. Currently free to use; no date set for charging to start. Will be 50p/30min. 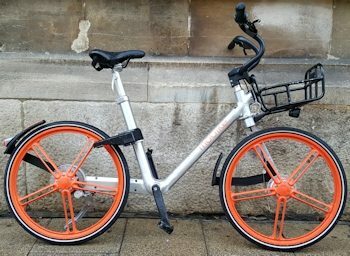 OXONBIKES Pedal & e-bikes available. 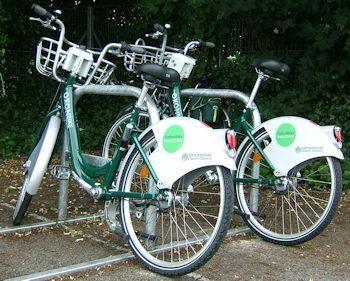 Hire & return to docking stations around the city – see locations. Prepay. Either subscribe £26pa + 30min free then £1/hr or no subscription + £1/hr. E-bikes available at twice the rates. 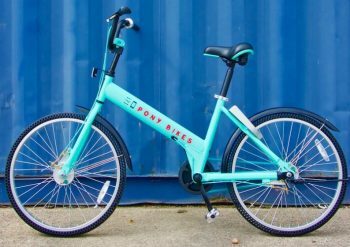 PONY BIKES Dockless. No deposit; prepay 50p/30min or £19/month unlimited use. No points system.